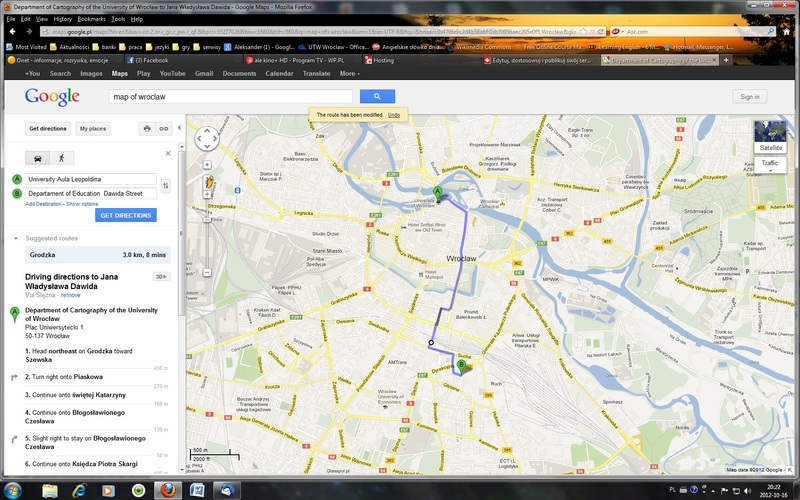 How to get to Wroclaw? The best way to get from the airport to the conference venue or/and city center is taking a taxi. The Wroclaw transportation system consists of buses and trams. A ticket is always valid for all of them and can be purchased from ticket machines in trams and buses. To buy a ticket in these machines you must use your card (not cash). Also, tickets might be purchased in some newsstands, for example these at the tram stop near our University. You have to validate your ticket only once after getting the bus/tram. It is applicable only to single fare tickets. Reduced price in applicable if you have valid international student ID – ISIC or Euro 26, or of course Polish student ID. Luggage ticket is necessary for every piece of luggage greater than 120cm when you add its height, length and depth. There exists many possibilities of accomodation from thery cheap offers of the hostels (about 10,- EUR/ night) up to the most representatives hotels in the old town for 100,- EUR and more for a night.